I saw the post about integrating a FT sensor with a Denso robot and I was wondering if it's the exact same for with a Robotiq gripper? The ROBOTIQ gripper connects to the DENSO RC8 controller via the RS-232 port. 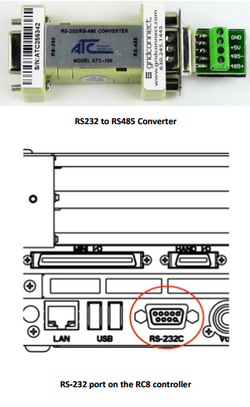 You will need to use a RS-485 to RS-232 converter between the ROBOTIQ gripper and the RC8. Press [F3 Data Communication] to display the following [Data Communication Settings] window. Select “Serial #1” device option. After selecting the device, press [F5 Edit] key to change its settings. 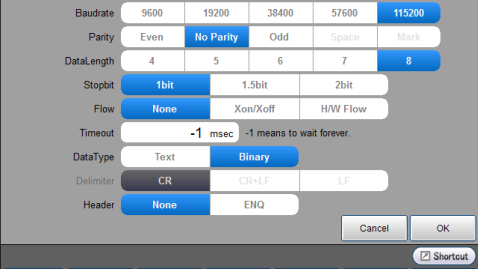 Edit the serial settings to match the image below. Include the Robotiq.pcs program on your project by clicking Add Existing File… under the Project menu. 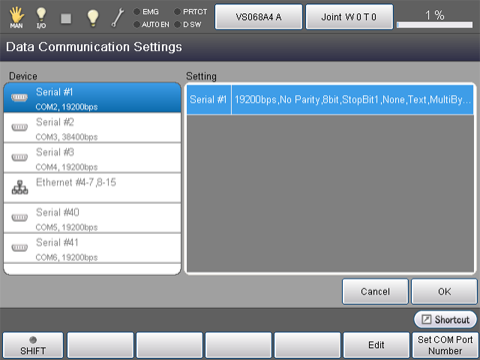 Download the Robotiq.pcs program onto your RC8 controller. 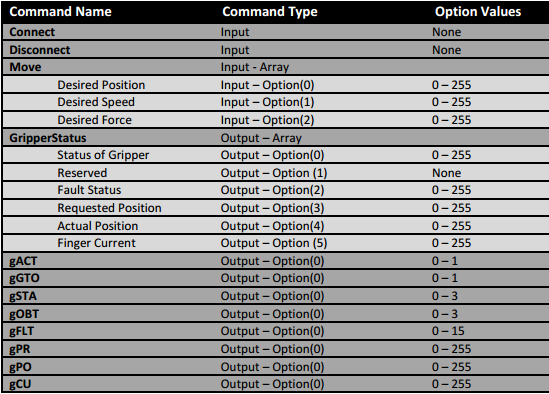 Any program that CALLs the Robotiq.pcs subroutine needs have the #include command. The structure of the Robotic subroutine requires two arguments, a string variable (Command) and a 5 element integer array (Option). To get more details on the commands with examples, check this post here.